Writer-director Quentin Tarantino has the knack to discover and, in some cases, re-discover talent. He gave the then fading star John Travolta his much needed comeback, and he paved the path to the stars for the previously little known but highly talented Austrian-German actor Christoph Waltz. No wonder Waltz should refer to the film-maker in his Golden Globe acceptance speech as Polaris, his guiding North Star. It is the creative combination between Tarantino's writing and Waltz's acting sensibilities that brought forth two performances that have been (rightfully and deservedly) hailed with accolades and that are memorable cinematic personalities: One as the German Nazi Officer Hans Landa in Inglourious Basterds (a title that curiously never passes my spellchecker) and the more recent endeavor as the German dentist King Schultz who finds himself caught in a “Southern” Western in Django Unchained. The two characters have much in common, which is not surprising considering that the same writer-director and actor have teamed up for both projects. At the same time, the two movie characters complement each other in interesting ways. They build and rebuild peculiar views and stances regarding German thought and ideology. In the first character of Hans Landa, we meet an efficient and highly intelligent officer who leaves nothing to chance. His diligence and perfectionism makes this astute person as lethal as can be. It is all served up with a dry humor and as usual with Tarantino we find - against our own better judgement of course - that the "bad guy" is likable despite his psychopathic essence. I had a similar reaction to David Carradine's Bill in the Kill Bill series who pulled off both sides of his personality in an admirable manner: On one hand he was the tender father, on the other hand a sadistic and merciless assassin. When it comes to Hans Landa, we find a German who follows his own principles and is, in fact, not tied to a specific ideology. He is no Goebbels, for example, who would have his children die rather than have them face a post-German world devoid of fascism. In other words, Landa is not tied to anything than what he sees as rising out of the necessity of the moment. In this sense, he is cunning and selfish, choosing what personally suits him best. In fact, he is both taking advantage of a corrupt system and government while also falling victim to it. But due to his moral flexibility, he changes horses in midstream. When he realizes that his “horse” was perhaps doomed to lose, he switches sides. He makes a deal with the Americans to escape the consequences of his actions. Yet his collaboration with the forces of evil, whether fully embraced or not, still leave him visibly scarred for life with its bloody cross on his forehead. Then the second film adds to and rearranges the identity of the German. This time around we are dealing with a bounty hunter (not a “Jew Hunter”!) who lacks no scruples when it comes to killing bad guys. He is, one might say with possibly a few qualms, a “good” guy who does not shy away from killing outlaws who have done wrong, at least in the past, and who are sought after by the law. It is like Brad Pitt's Raine character who kills the Nazis collectively and indiscriminately regardless of individual differences and personal variations since they all represent the face of evil to him. But in the movie Django Unchained, there is a slight addendum. Although admittedly King Schultz does it all for his own financial benefit, namely the compensation he receives for taking his victims more dead than alive, there is little profit in his decision to help Django. This comes out of his own desire to help, hence revealing his heart, generosity, and a pronounced sense of justice. This dentist is adamant in his principles and stands firmly against any kind of injustice. For instance, he would like to save the slave who is mistreated and is even ready to pay for him a significant amount of money. This image that innocent people are being mistreated by cruel slaveholders haunts him and leads to his not wanting to have any part in or complicity with the immoral and inhumane trade of slavery. As a result, he refuses stubbornly to shake the plant owner's hand. This almost pigheaded determination of not even symbolically giving in to something that is seen as morally wrong puts the German on the other side of what he was in Inglourious Basterds. While as Hans Landa he went along for the ride with the Nazis, here he stands firmly for freedom and justice ready to sacrifice significant amounts of money and even his own life for its endeavor. Put differently, King Schultz represents justice (and morality) in its most precise and literal form to protect humanity from “bad guys,” whether they are (ex-)outlaws or legally recognized slaveholders. And had he been able to ever meet Hans Landa in person, there is another guy whose hand he would never ever shake! Thanks for your comment and interest, IFQ! And don't worry about chronology: In cyberspace time is a relatively subjective matter. Very interesting! I love the character of King Schultz. I wish so much that he had existed! 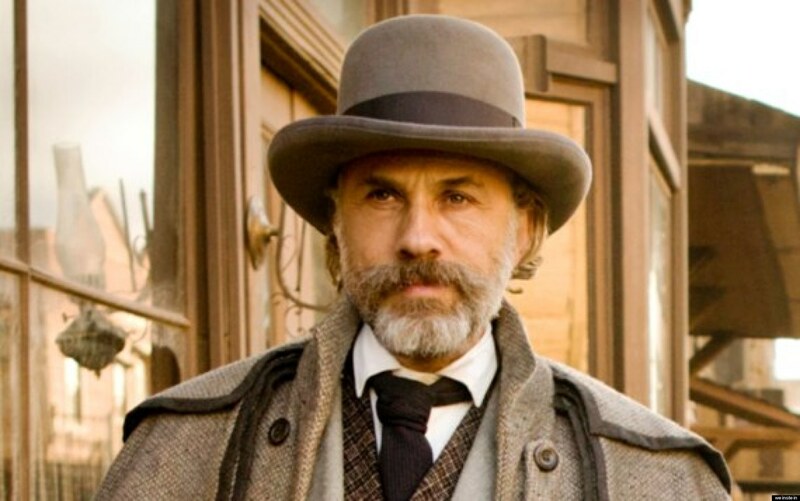 Christoph Waltz is such a kind and humorous man that King Schultz seems to be an extension of his own personality. His genius as an actor is that he can also portray the vicious (but humorous and fascinating) Landa. The scene where the pounces on and strangles the woman at the end of that movie is disturbing!